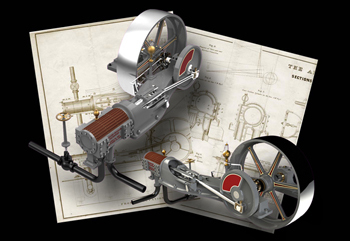 The Allen Engine Company was a well known maker of small “Mill Engines” of a type commonly found in textile mills, machine shops and small fabricating plants. 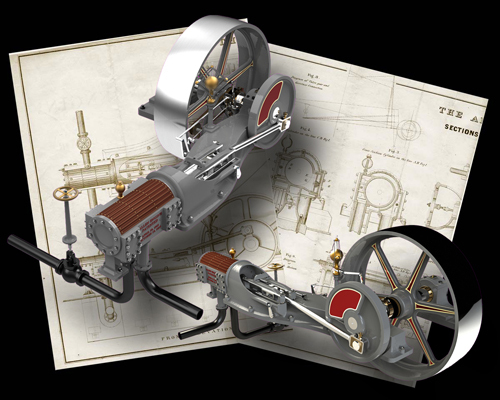 This 50 HP engine was typical, and exhibits the ‘Porter Ball Governor’ used to regulate the speed, as well as the noteworthy ‘Allen Valve Gear’. 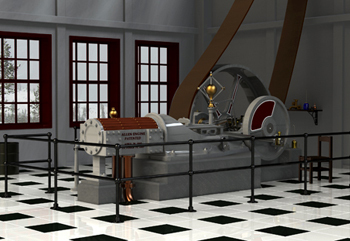 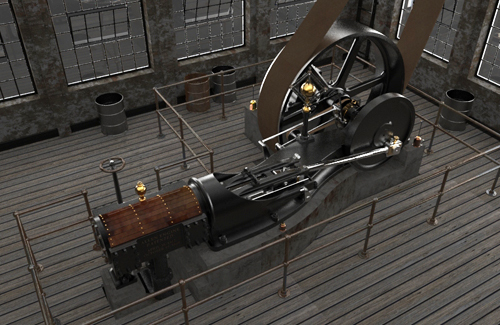 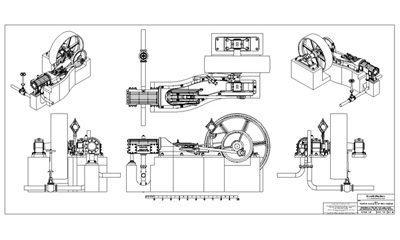 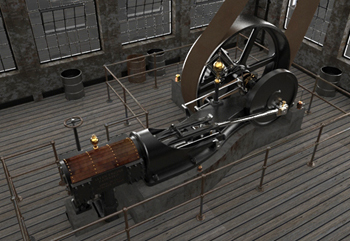 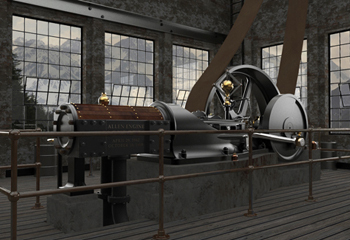 I created the SolidWorks CAD model from an 1890 “Builder’s Catalogue” which fortunately included scaled drawings. 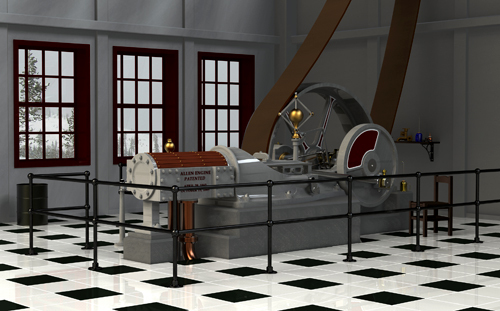 One image shows the “set-piece”, or stage set, that I used to create the other images.